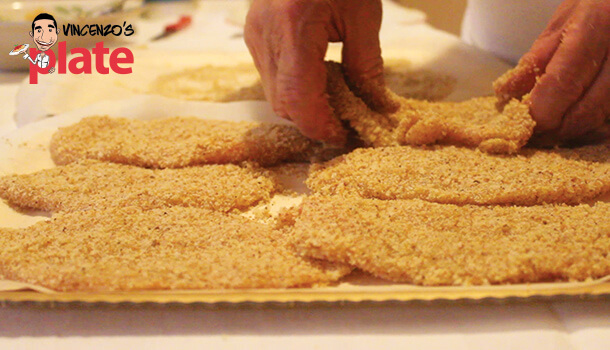 Chicken Schnitzel Nonna's way! 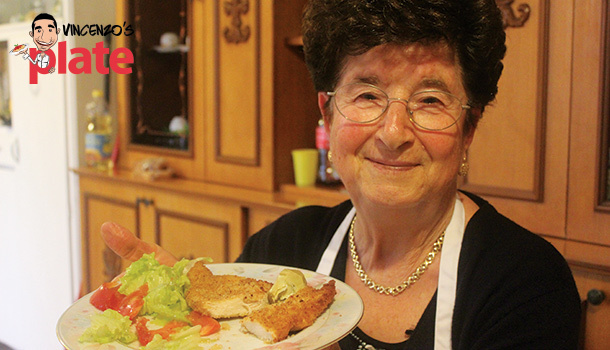 Meet my Nonna in her first ever video recipe as she teaches you the simple, original way to coat and cook up chicken cutlets. No one knows the little secrets like Nonna! Watch now to find them out and recreate this old age delight. 1. Break 3 eggs into a bowl and beat them well. Then add a pinch of salt. 2. Squeeze a small amlunt of lemon into the eggs. This is Nonna's secret for keeping the meat from smelling like eggs. Mix I well. 3. Add a small amount of salt to both sides of the chicken fillet. 4. Immerge the chicken into the bowl with eggs and turn it over using a fork. 5. Pour breadcrumbs on a flat tray which has baking paper over the top. 6. Place each fillet on top of the bread crumbs and batter the bread crumbs on well. Turn over and repeat. 7. Heat up some sunflower oil in the pan (on a medium heat) and once it's nice and hot place the chicken cutlets inside to cook. Cook the chicken cutlets a side at the time. 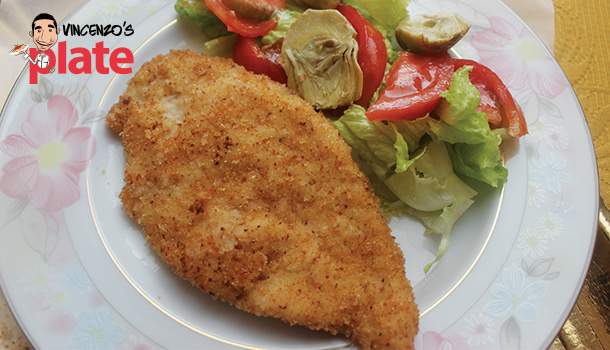 Place the chicken cutlets next to the salad and buon appetito.